No innovation was made without a crazy idea. 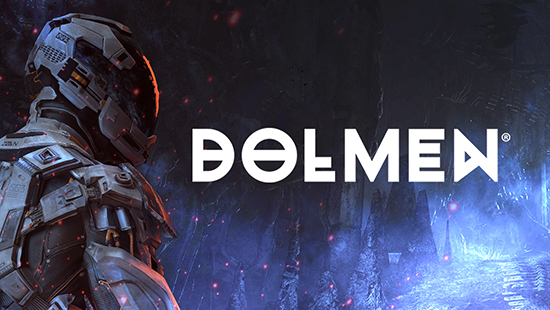 And Dolmen is both things! On development by Massive Work Studio, it’s an adult video game, an Action third person RPG, where the player’s worst fears turn against him, finding the aberrant alien world of Revion Prime. In a bold initiative in Brazil Games Industry, this studio, after one year of research and preparation is going to launch a crowdfunding campaign through the Kickstarter platform and show a little bit of the first phase of its work in the tenth edition of Brazil Game Show! The gamer community and fans have had the first samples of what is still to come since September 23, when exclusive info and pics begun to spread from social medias as facebook, twitter, youtube and instagram. With periodic posts, the staff will give its followers the rare opportunity to get inside the creative minds of the artists as if they visited some painter’s atelier, providing the potential campaign supporters with a nice view of the mind of more than 40 collaborators, among Brazilian, Iranian, American and Spanish people! We are very proud to show this work to its public as also to display its possibilities to the actual gamers’ generation. They will surely start a new experience in a future brought a little closer to us thanks to the world of the Indie Games! The exact location is a mystery. The star maps were lost and after the Nikiderma invaded it, very little can be said about that planet. Its star is called Nynfeid. As neighbours, it has four gas giants. The corpses of its people were expelled from its atmosphere, so their mass decomposition wouldn’t alter the ecosystem. The Dolmen’s story may be comprehended as an investigation focusing the past and present of an alien planet as seen through the eyes of a human being. Although his original task was very different from this, he has been brought to a place never seen before, with no resources and unprepared for what he will find there. Exploration and adaptability shall be used to unveil some truth about what really happened to him. That’s when the game begins. In a dark place, miles away from the surface of that strange planet, inside the caves which once were part of an evolved society. A society that no longer exists. There’s just a lonely person, from the distant Earth, trying to be part of that place to survive it. He’s the only witness to what’s left of something he may never completely understand completely. But he must either try or become a part of its remains. There’s no option. Since the history of the human race is based on evolution and the ability to endure suffering, maybe he will triumph against adversity. Or maybe he won’t. Engage in Fast-Paced Dynamic Combat: Combat is intense and heavily based on timing, mixing melee-based attacks, Over-the-Shoulder (OTS) perspective long-range shooting and the use of defensive manoeuvres such as dodging and blocking. Adapt or Perish; Craft to Survive: Mankind, so we believe, has become a prevalent species due to its ability to endure and adapt to inhospitable environments. Build up your skills and scavenge what little resources are available to create items and customise your equipment. You’re going to need anything you can find to live to see another day.